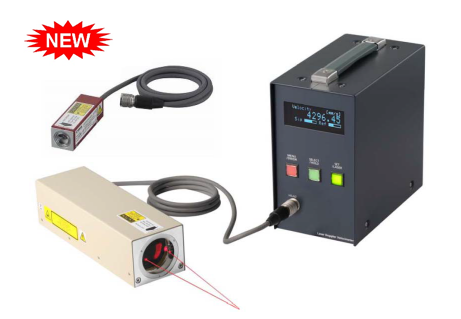 The PV-01 from Canon is a compact, high-precision laser Doppler velocimeter with S-100 and S-150Z/200 optical sensors that can measure the velocity and length of moving targets such as items on a conveyer belt, lopes of elevator systems, pipes, cables to be cut at a certain length, etc. The PV-01 comes with a free measurement software package to monitor the trend of velocity and analyze data. The available measurement software, able to connect to a Windows based PC, provides a variety of measurement options and automated tests for the production line. Measurement of velocity/length is done without contacting the target material. This device is used for detecting multiple types of irregularities in OA equipment, AV equipment, and manufacturing equipment. To find out more about the theory of the laser light Doppler method, as well as the installation method, panel descriptions, and specifications of the PV-01, download the brochure, or visit Canon's website.